Home › Energy Storage in Australia › Tesla Powerwall 2 Australia Release Date, Price, Specs, and Competitors. Tesla Powerwall 2 Australia 2018 update: you can get a Powerwall 2 in Australia from a number of different vendors. It depends on which state you’re in – they’re still in hot demand and there are a few states where they’re a bit difficult to come by. If you’re interested in the different energy storage options available to you, please check our solar battery comparison articles (or simply scroll down this article to learn more) – there’s plenty to read up on! Also have a look at the case study on Gizmodo of a Melbourne man who says the Powerwall 2 will drop his power bill to $0. According to the Tesla website, there is a ‘May 2017’ install date for Australia. Please note that this has changed a few times already and Tesla have moved the goalposts in other ways, such as removing the DC version of the Powerwall 2, so don’t bet the house on it. But we think Q2 2017 will see some Powerwalls in Australian houses! Watch this space and we’ll be reporting as soon as the first Powerwall 2’s start appearing in Australian homes. The Tesla Powerwall 2 in action. You can use the search function on the Tesla website to locate Australian stores, galleries, and service centers – just click here! 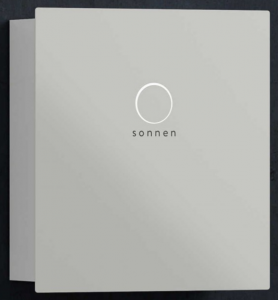 One 14kWh Powerwall battery is priced at $8,000 AUD. Two will cost you $16,000 AUD, and so on. According to the official Tesla site the ‘supporting hardware’ comes to $750 – and if you buy multiple Powerwalls you will only have to pay this $750 once. Please note this price excludes retailer/distributor connection charges which apply in some parts of Australia (more detailed information about this soon). It also excludes installation, which ranges from $1,150 to $2,900 plus permit fees, as per Tesla’s site. 7kW peak power, 5kW continuous power. Earlier this year Tesla were taking orders for a DC (i.e. without an included inverter) version of the Powerwall 2 but this has since been discontinued. The only available version of the Powerwall 2 is the AC version with inverter already built. If you’ve already got panels and an inverter it might be worth looking at alternatives to the Powerwall 2. 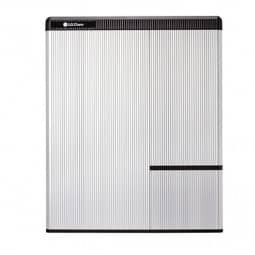 LG Chem produces the RES7H and RESU10H (follow this link to SolarQuotes who have other great information) with 6.6 and 9.3 kilowatt-hours of usable storage respectively. 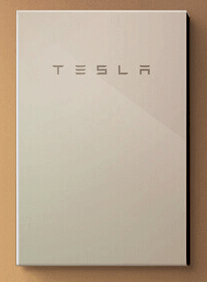 Is The Tesla Powerwall Worth It? Let’s crunch the numbers. Obviously costs and prices will differ from household to household so plug in your own costs to see if a Tesla Powerwall is right for you. Let’s assume you can store the maximum of 13.5kwh each day, and you’ve changed your power plan to peak/offpeak (read more here). Let’s also assume an installation cost of $10,000 AUD ($8,750 to Tesla and $1,250 to cover installation and connection charges / permit fees). The current off-peak price is around 10c/kWh and the peak price 30c/kWh (in comparison to the ‘standard’ everyday price of ~25c/kWh). If you were to use all 13.5kWh in peak times, this would save you $2.70 a day, or $985.50 p.a. (30c – 10c = 20c) (20 c x 13.5) (2.70 x 365). By the 10th year, assuming the stated 30% degradation, you would have 9.45kWh which represents a saving of $1.89 a day, or $689.85 p.a. You can use NREL’s PVWatts calculator to find out exactly how much sun you can expect at your residence. It’s a bit complicated but an amazing tool for those who want to get granular about the postential for solar savings. Tesla Powerwall 2 Australia is only useful for some people at this point in time – solar panel and energy storage technology is coming along in leaps and bounds so this will only get more economical. There are also other options that may suit your individual circumstances. 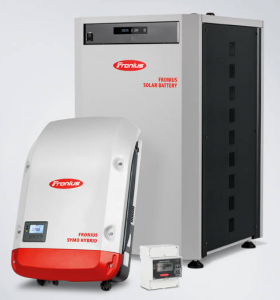 There are a number of Tesla Powerwall alternatives – some would argue that you’re paying for the ‘prestige’ of the name. Always do your research before you buy something based on advertising or what your friends say – solar and solar storage come down to your individual requirements. It’s definitely worthwhile to carefully measure the numbers before you commit to anything! Warranty for 36,500 kWh or 10 years. Web based management system with MODBUS communication software. 3 48volt DC models (RESU3.3, RESU6.5, RESU10). 2 400v models (RESU7H, RESU10H). Lithium Ion technology with 90-95% usable capacity. On grid / Off grid installation options. AC/DC coupling available, depending on your solar panels. Much smaller than the Powerwall. 4-16kWh capacity (modular design which increases in 2kWh increments). Easy to retrofit to your existing panels. 10year / 10,000 cycle warranty. 2.5 cycles per day (2.5x ‘value’ and faster payback). Online management with ‘self learning algorithm’ (automatically decides the best times to charge and supply). Proper UPS and automatic blackout protection with SonnenBatterie Protect 1300. Reliable supplier who has been making these batteries since 2008. 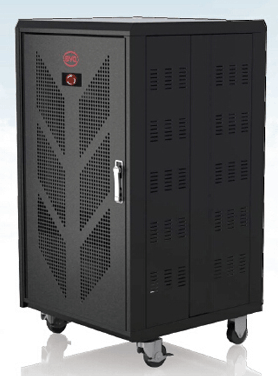 AC integrated (hybrid) inverter – store the power as DC until you need it: extra efficiency – all the benefits of both AC and DC coupling! They have a current rebate offer for purchase orders placed before July 31, 2017. 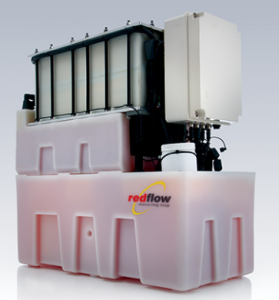 1.2kWh capacity (modular – so install as many as you need – 1.2kWh won’t get you far). 2 cycles per day (double ‘value’ and faster payback). Lithium-iron phosphate material and prismatic cells from Eliiy Power. AC only – no high voltage DC involved in system (microinverters under the solar panels convert DC to AC – click here to read more). 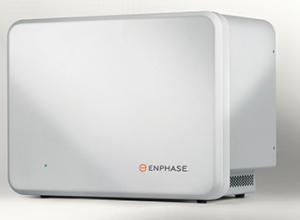 Over 17,000 Enphase systems installed in Australia. Touted as the ‘first green battery in the world’. Their website is extremely poor but we’re following this one with interest too. Peak power 20kilowatts for 3 minutes (also depends on inverter choice). 4.2kWh, 6kWh, and 9.6kWh options available. Tesla Powerwall 2’s are being installed in Australia right now. Read our Tesla Powerwall 2 Installation overview! No word yet about the Powerwall 3, but as soon as there are any whispers, we’ll have them here. Compared to Powerwall 1, the Powerwall 2 has 40% more peak power, 50% more continuous power, double the storage capacity, an included inverter, and all for the same price. For some people it’s a viable cost-saving option – so if the Powerwall 3 can come even close to some of these improvements from the previous models, we’ll be well on our way for it to be a no brainer to have a solar PV system + energy storage on every roof in the country. According to FutureFive, the first New Zealand installation of a Tesla Powerwall 2 occured on August 24, 2017, in a Queenstown home. It was installed by Vector subsidiary PowerSmart Solar and they expect to install many more over the coming months. PowerSmart will also be installing New Zealand’s second Powerwall 2, but after that there are a number of other suppliers who are Tesla Certified and will be offering the product to Kiwis. The RRP for a Tesla Powerwall 2 (including a Tesla Gateway) is $18,000 NZD for a single 14kWh (13.5 usable kWh) device. Let’s hope the energy giants don’t get too upset when we say goodbye to their over bearing, over priced system of using others for their profit in the guise of being green. The only thing green is the Australian consumers putting up with continuing blatant price gouging for years. Bring on the lightweight panels and Tesla technologies. Take your power poles and practise some caber tossing.